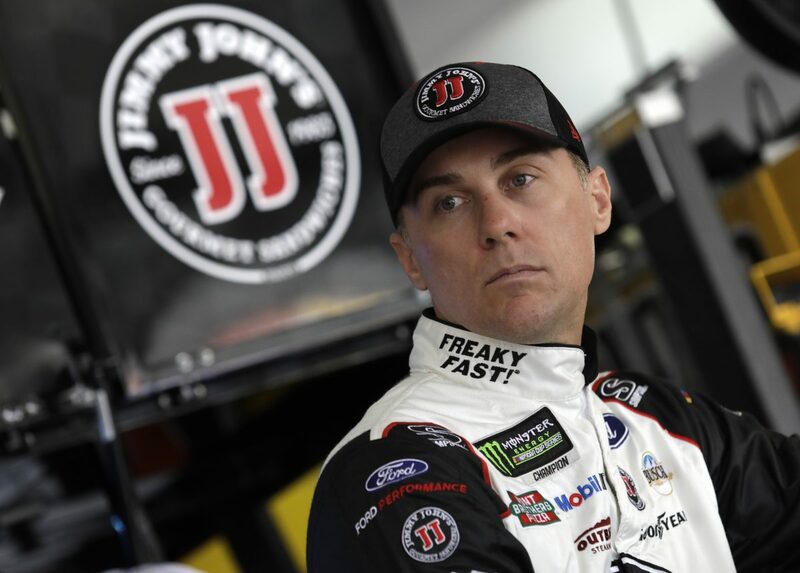 Jimmy John’s returns to the hood of Kevin Harvick’s No. 4 Ford Fusion as the Monster Energy NASCAR Cup Series heads to Dover (Del.) International Speedway this weekend. Jimmy John’s prides itself on being “Freaky Fast” and that certainly fits the concrete oval known as the Monster Mile. Harvick and the No. 4 team have performed their best this season when the No. 4 Ford Fusion for Stewart-Haas Racing (SHR) has Jimmy John’s on the hood and Freaky Fast on the side. In fact, all three of Harvick’s Cup Series wins – at Atlanta Motor Speedway, Las Vegas Motor Speedway and ISM Raceway near Phoenix – have come with Jimmy John’s as the primary partner. In terms of pure speed, Harvick has been one of the fastest at Dover since joining SHR in 2014, scoring one win, one pole, two top-five finishes and three top-10s. What is more impressive is that he has led 810 of 2,805 laps in eight races there – nearly 38.9 percent of the total laps raced at Dover since the beginning of 2014. Martin Truex Jr. ranks second during that span with 518 laps led – 292 laps fewer than Harvick. Harvick’s most impressive Monster Mile performance came in October 2015, when the No. 4 team arrived at Dover ranked 15th in the playoff standings and trailing Dale Earnhardt Jr. by 23 points for the final transfer position into the Round of 12. A solid finish wouldn’t do – Harvick needed a win to advance. With everything on the line, he delivered the most dominant race of his NASCAR Cup Series career. He started 15th after Friday qualifying was cancelled due to rain, but he quickly raced his way to the front and led 355 of 400 laps to beat runner-up Kyle Busch to the finish line by 2.639 seconds. According to NASCAR Stats and Information, he registered a 149.7 driver rating out of a possible 150.0, narrowly missing his fourth perfect driver rating in a NASCAR Cup Series race. He previously registered perfect 150.0 driver ratings at Phoenix on three occasions – November 2006 and 2014, and March 2015. However, luck has not always been on the side of the No. 4 team at Dover. In June 2014, Harvick started eighth and led 24 laps, but finished 17th as the first car one lap down after he had a valve stem issue during a pit stop that caused a tire to go down on the following restart. He won the pole at Dover in September 2014, when he turned a lap of 22.095 seconds at 162.933 mph in the second round of qualifying. On race day, he stayed at the front of the field for 223 laps but had to settle for a 13th-place finish after another valve stem issue led to a flat tire following a pit stop and caused him to fall a lap down to the leaders. Harvick started from the pole after qualifying was rained out in May 2016. He led 117 laps early in the race before he was caught in an 18-car accident and finished one lap down in 15th. The 2014 Cup Series champion has been one of the best in the field when it comes to Cup Series qualifying in 2018, scoring his first Busch Pole of the season last week at Talladega and starting in the top-10 in nine of the 10 races this season. The lone exception was Bristol, where he did not participate in qualifying after an accident during practice. Harvick has also been Freaky Fast on race day in 2018. He has a series-best 540 laps led and is tied for the series lead with three wins and seven top-five finishes through the first 10 races. He is ranked second with 12 playoff points and third in regular-season points with 366. This weekend at Dover, he hopes to score some additional playoff points in his pursuit of a second Cup Series championship once the playoffs start in September. Why is Dover one of the more challenging racetracks on the NASCAR Cup Series schedule?